Ethiopian journalists have come to expect the worst from our government. One of the world's most hostile governments to an independent press, it has jailed friends and colleagues, forced them to leave the country and unjustly branded them as terrorists or enemies of the state for doing their jobs. But until now we have at least been able to count on the moral support of fellow journalists, media organizations and others opposed to injustice. That has been changed by the deeply disappointing decision of the African Media Initiative (AMI) to hold its annual convention, the African Media Leaders' Forum, in Addis Ababa this year. Far from helping to improve Ethiopia's media environment, as suggested by the AMI's chief executive, Amadou Mahtar Ba, this move will instead embolden the government in its ongoing war against the press. According to the Committee to Protect Journalists, at least 49 Ethiopian journalists have been forced into exile since 2007. Nine of our colleagues languish in prison, making the country the second worst jailer of journalists in Africa after Eritrea. Just last year, the government forced the closure of Feteh ("Justice"), the prominent independent newspaper in Addis Ababa, because of its critical editorial line. Its publisher, Mastewal Berhanu, who was forced to leave the country after receiving threats from security agents, is one of those who have said that the AMI's decision is a blow to jailed and exiled Ethiopian journalists. We have held the AMI in high esteem because of its stated commitment to"promote the development of pluralistic media". But we believe its justification for holding the forum in Ethiopia is self-serving and insensitive to Ethiopia's independent media community, and we cannot understand why Mr. Ba calls the decision "courageous". The AMI's suggestion that holding the forum in Addis Ababa will further a process of "constructive engagement" with media stakeholders, including the government, is either naïve or aimed at benefitting narrow interests that do not really serve the Ethiopian media community at large. Neither the publishers' association nor the media council with which the AMI has interacted represent independent journalists, nor do they defend their rights. Despite all the Ethiopian government's actions to stifle press freedom, I used to believe that if the press could organize itself it could gain enough strength to overcome its multi-faceted challenges. To test my belief in practice, I tried in 2011 to organize a monthly informal journalists' roundtable, bringing the highly-polarized media together to discuss investigative journalism, particularly on corruption issues. This platform sought to help the media play its watchdog role and I hoped it would grow into an investigative or anti-corruption journalists' association. But over ten months of meetings, the arrest and intimidation of journalists, along with the closures of local rights groups, rendered members frustrated and hesitant about forming an independent association. Even the monthly roundtable meeting could not be sustained as participants gradually dropped out. Stringent laws, arrogant bureaucracy, threats and other challenges sapped the media of its energy, leaving it too weak to build one strong local media association which could help protect itself. Today, professional media associations are either under the concealed patronage of the government or too scared to speak out for unlawfully imprisoned journalists such as Eskinder Nega, Reeyot Alemu, Woubshet Taye and many others. The Ethiopian government has ensured that there is no strong and vibrant media association that can stand for freedom of speech and press freedom. Mr. Ba's suggestion that the government-sponsored media council "is known for its independence and commitment to building free and balanced media" confirms our fears that the AMI, its handful of local partners and the Ethiopian government are speaking with one and the same voice. I appreciate the Pan-African approach of Mr. Ba. But Pan-Africanism begins with African solidarity, based on the understanding that injustice against one African is an injustice against all Africans. The Ethiopian government is willing to have the AMLF meet in Addis Ababa because it can use the event as a counter to international pressure for freedom of speech and press freedom. 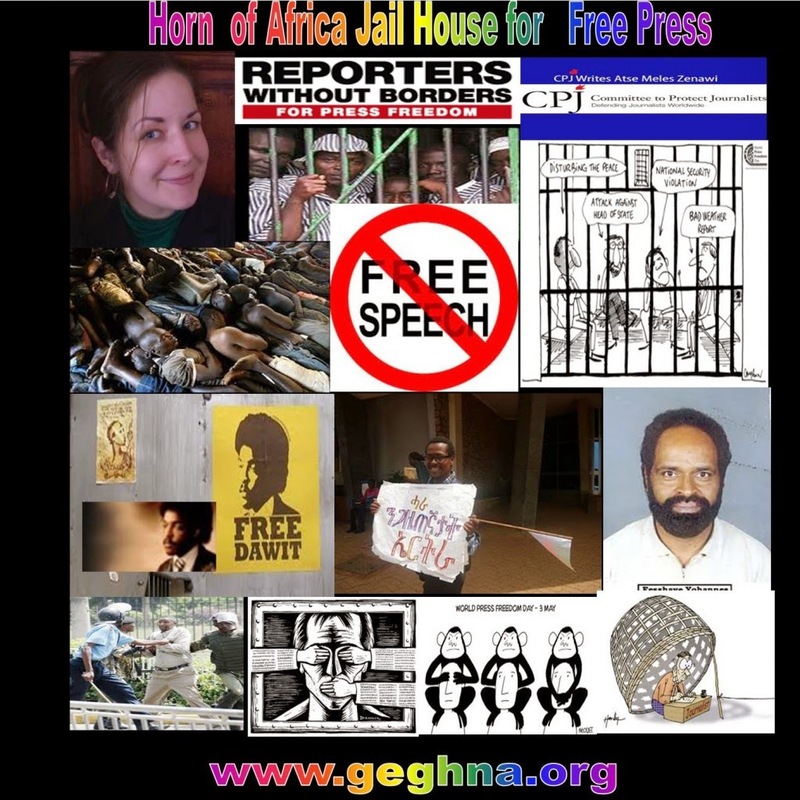 In our struggle to realize the freedoms promised in our constitution, Ethiopian journalists have seldom heard African intellectuals, media leaders or the African Union call out our government on its grave abuses and support those struggling to be free. Apartheid and colonialism were not defeated with "constructive engagement" or apathy and silence. Business interests that worked with the apartheid regime are marked with shame forever. The AMI should reconsider its plan to hold the meeting in Addis Ababa. - Fasil Girma Aragaw can be followed on Twitter @fasiledesfasil or contacted by email.